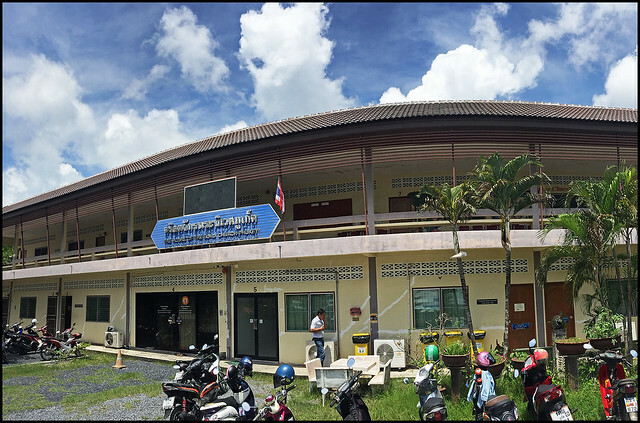 From the very start of the Phuket Blog I started blogging about Buddhist temples in Phuket, of which there are many - about 30 different temples have been blogged, most on Phuket island and a few in neighbouring Phang Nga province. For a summary have a look at Temples in Phuket. For many years I never really gave too much thought to other religions .. and is Buddhism a religion? I did write about some Chinese shrines where people pray to ancient Chinese gods - and there are some big Chinese festivals in Phuket such as the vegetarian festival and hungry ghost festival, which have also been blogged extensively. If you read about the history of Phuket, you can see that Phuket was a crossroads in trade between Europe, the middle east, India and the far east. People of all religions and nationalities came here and some stayed in the area. 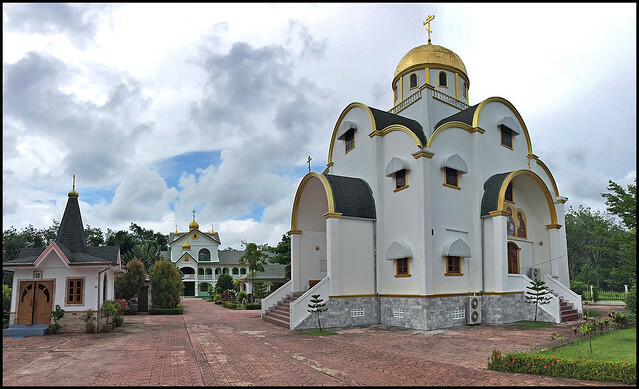 As I stayed here longer and went exploring and looking around the island I found unexpected places such as a Sikh Gurdwara, and last year I spent many hours driving around visiting and photographing the many mosques in Phuket. I should point out that I am atheist, but I do find the history of religion interesting and also religious architecture. Blame my parents who always dragged my sister and I around cathedrals when on family holidays! Growing up in the UK in the 1970s and 1980s religious diversity was a quite new concept. Most people would have said they were Christian, and even our family knew the hymns and went to church now and then (mostly just at Christmas, to be honest), and my primary school had a very religious headmaster. We sang Jesus songs just about every morning. It didn't really rub off. Here in Phuket I always thought there were just a couple of churches. 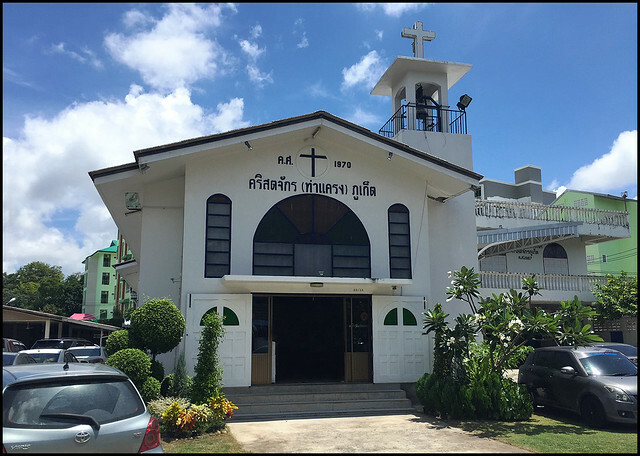 I knew about the "Our Lady of the Assumption" Catholic church in Phuket Town, which is interestingly located along a small road near a Chinese shrine and a mosque, and I have seen a "Christian Assembly" in a building in old town, but it's not a church per se, just a gathering place. 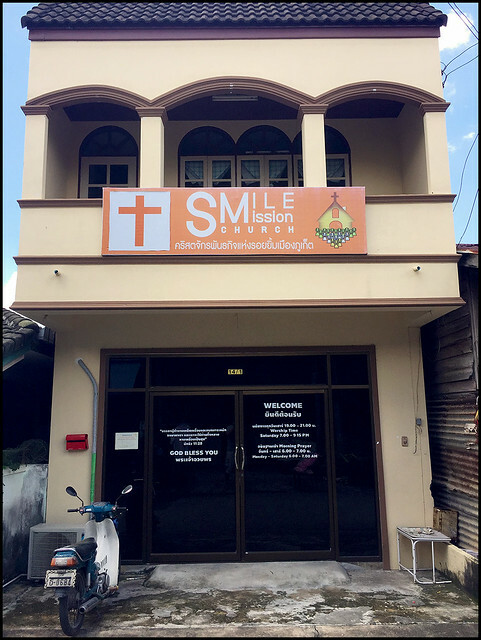 Given that I had not really seen any other churches, or wasn't looking for them, the Christian churches in Phuket have not been blogged until now. 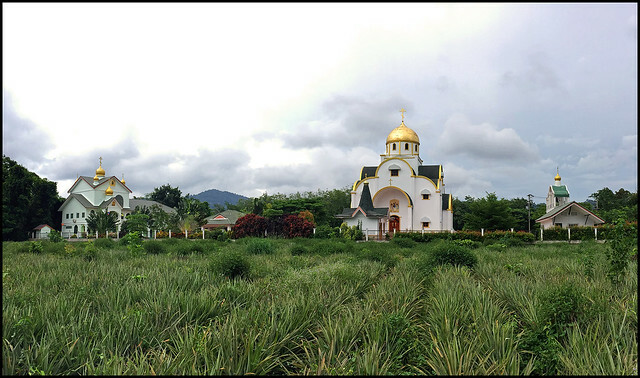 I decided to research more after driving into town on a route I don't normally take and noticing another church, and then finding out by accident (playing with Google Earth) that there is an orthodox church in Phuket (located in the north of the island in the middle of pineapple fields). So given at least 3 churches, I did some Googling and more searching back roads and very soon had quite a long list, which meant a couple of drives around the island following small roads I'd not followed before. Most of the churches are quite hard to find and I imagine built on cheaper land. 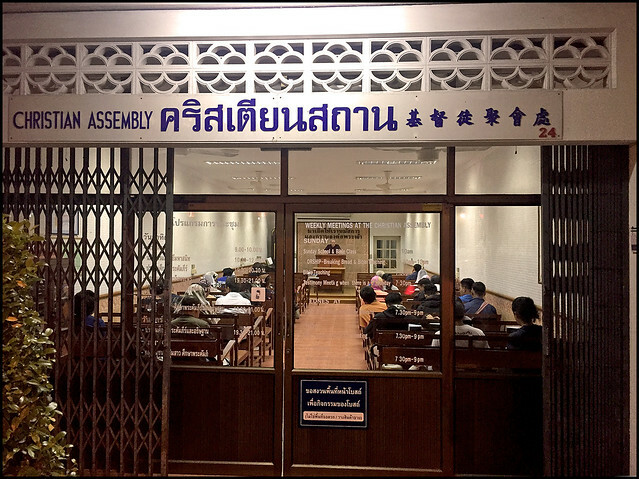 Many have only been around for a few years, I suppose catering to a growing demand of expat residents, although I did visit one church on a Sunday and it was totally full of Thai folks. There are probably a couple more churches than those below. A couple I couldn't find, though they were marked on the map, probably incorrectly marked! Let's go to church! 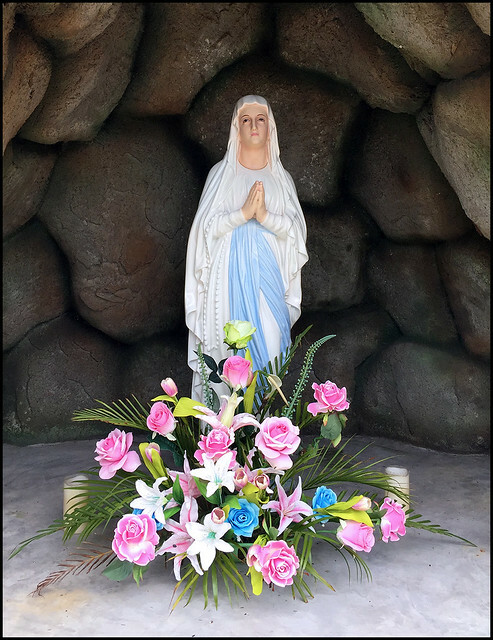 Starting in the Phuket Town area - you have Our Lady, and also another on the south side of town near Rama IX park. This is the one mentioned above - was very full on a Sunday! I am not sure exactly what Christian denomination any of these churches are and I am not even sure why there are so many denominations and sects. The sign outside this one just says "Phuket Church"! On the back roads in town I followed a mark on Google Maps to the "Smile Mission" which was not really a church, but did lead me down an old street in a part of town that I have not explored. Also not too far from town or in the direction of Chalong I found a place grandly marked as 'House of The Lord' and I was hoping to find a grand church building, but after driving narrow back streets and taking a couple of wrong turns I found a "church" in a square building looking like a typical Thai school building. See below. Well, I guess it's the prayers that count rather than the grandeur. I think this is a "pentecostal" church. Also marked was "All Nations Church" but the location seemed to be exactly the same as the Headstart International School. Confusing. 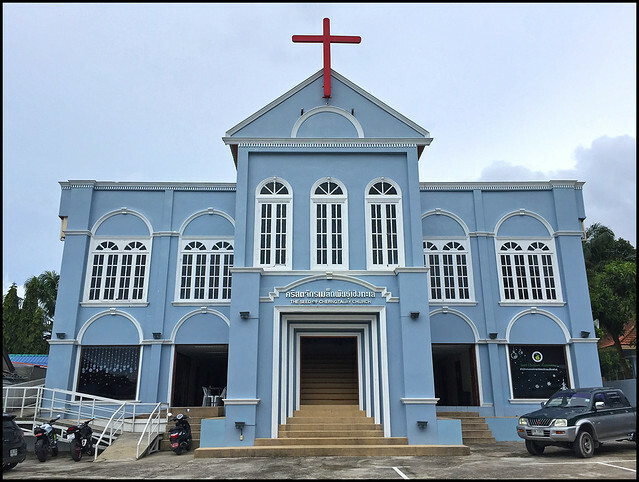 I found a website for this church (number 1 in a Google search for Phuket Church), and it seems there is no church building, but if you want to pray they have services using the school building. And another one (number 2 in Google) is called Hope of Phuket Church. Again, no actual church building, but do services in a guesthouse and a hotel. If you are of the praying type, please do Google these 2! A baptist church was shown on the map, but I couldn't find it! And one more church called Zion Of God I did find, but it was busy on a Sunday, it's up a tiny one-way side street right off the main road near town. I did not find a place to park and had to reverse back onto the main road to get out! Well, I will try to grab a photo another time! 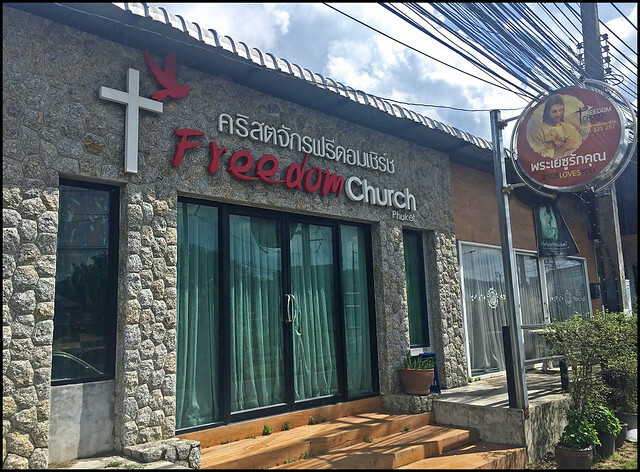 Not too far from my own house in Kathu (between Phuket Town and Patong beach), I have seen a small building by the side of the main road, called Freedom Church. Again, not exactly a church, but a simple place of worship. I drive past almost every day on the way to Sunrise Divers at Karon beach. The map showed a church right in the middle of Patong also. I drove there, and luckily found a parking space. 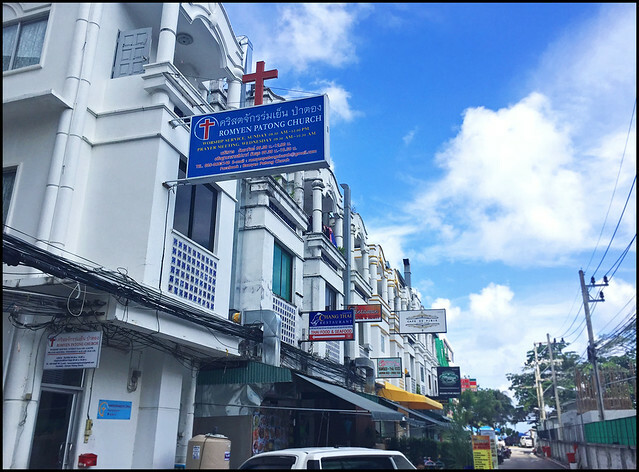 The "Rom Yen Patong Church" (Rom Yen means Peace) is on Soi Patong Resort, a narrow street off the beach road with restaurants and guesthouses for neighbours. And again, it's not what I'd call a church! 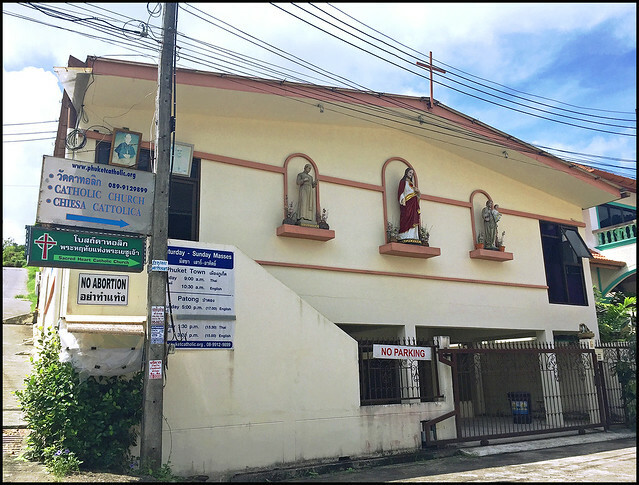 Now, just out of Patong on the way to Karon, near the Simon Cabaret Show, there's a sign on the main road saying "Chiesa Cattolica - Catholic Church" next to a small side road. I have driven past this sign hundreds of times. Thousands of times actually. Never looked up the side road. (above) Sacred Heart Church near Patong. A sign says "NO ABORTION". 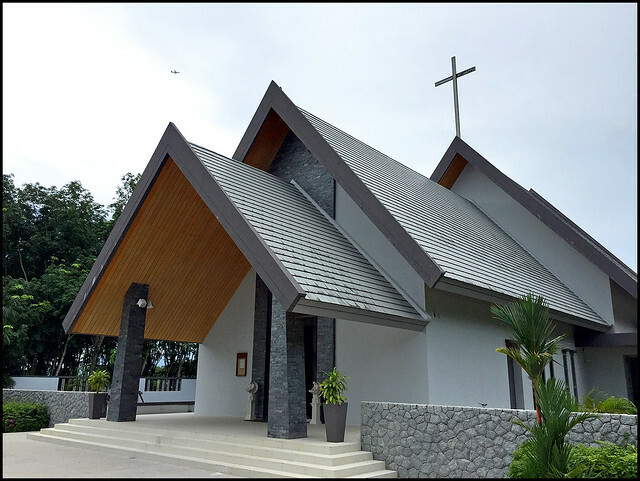 There is another branch of the "Rom Yen" on the back road in Karon, but otherwise I could not find any mention of churches around Karon, Kata, Naiharn, Rawai beach areas. My next area to explore was in the north of Phuket. The Thalang area is full of small back roads passing through rubber plantations, fields of pineapples or palm trees and coconut trees. I dropped the rest of the family at the Anthem Wake Park and took a little drive. 2 churches were marked close to each other on Google Maps, both looking quite new. This part of Phuket is close to international schools and quite a lot of foreigners live in the area. I found a church called "The Seed" first. The church has been there since about 2008. Thanks to Google Maps it was easy enough to find up a small street, itself off another small street. It looked like a very short walk to another church, so I left the truck outside The Seed and walked around the corner a couple of hundred meters to a very new looking church called Saint Josephs - another Catholic church. I did some reading and found that St. Josephs opened in 2014. Then I went looking for the Orthodox church. About 2km up a twisty road passing the back of Wat Phra Tong, winding through the fields and surrounded by pineapples. There's a website which tells me the church opened in December 2011. And it took me this long to know about it! Well, I am not Russian, or a Christian, and I never drove that particular rural road before! I went inside the church grounds. There was nobody there at all. There's also a Russian language school here. I expected the church door to be locked, but it was not - so I took a quick look inside. 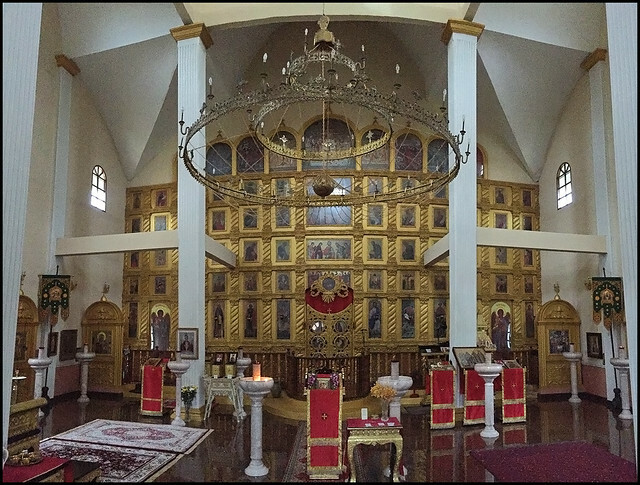 Never seen inside an orthodox church before. Thus endeth the blog page about Phuket churches. 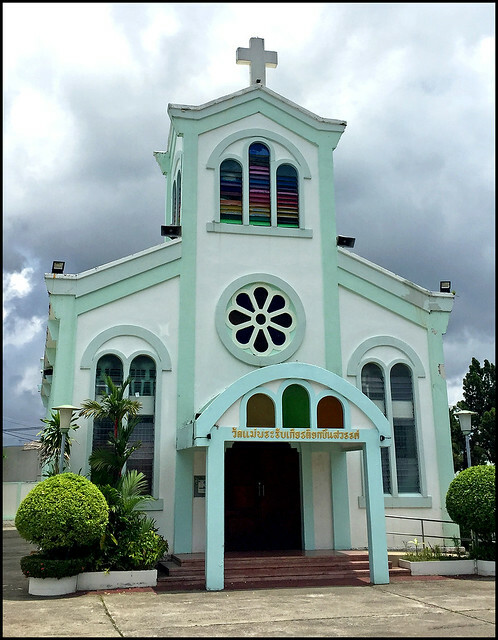 Due to the rather back-street location of many of these churches, finding so many in Phuket was a surprise. 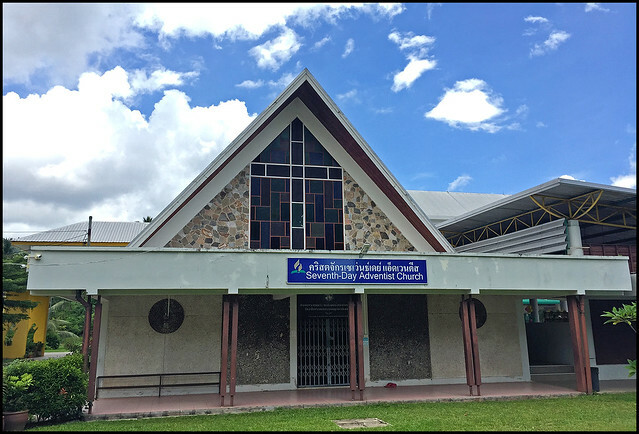 I hope this information may be useful if you are a churchy person visiting my island. If I find more churches they will be added here. If you have any church info that is not here, please let me know - contact via Facebook.